A spotlight mounted on a strip: simple and practical. Above a table or in front of a wall, Ginza is available both horizontal and vertical. 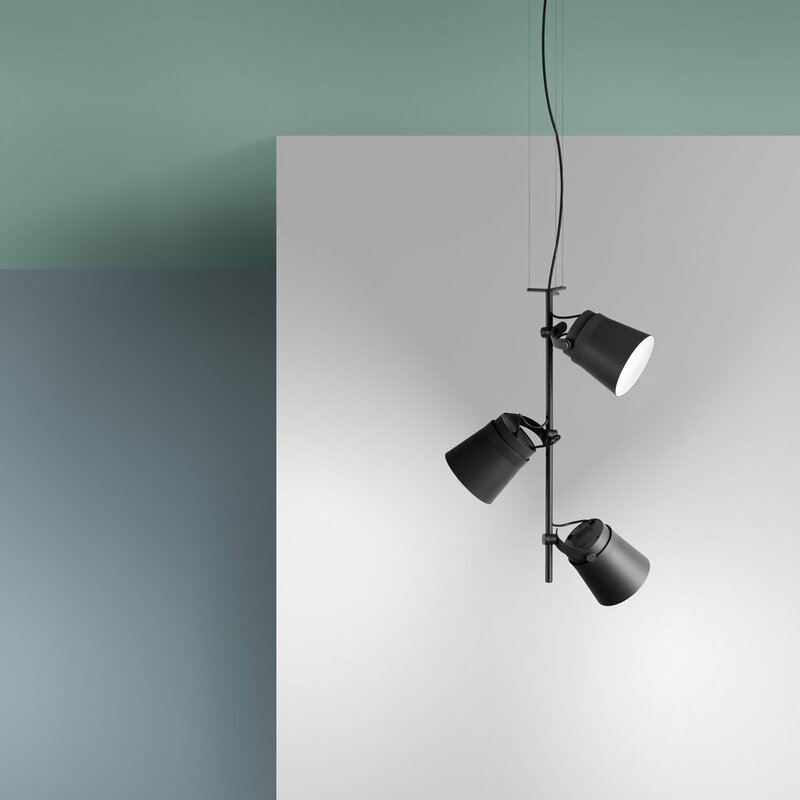 In addition, the fixture can twist around its axis to direct light at the desired angle without altering the balance of the strip. Painted aluminum. White RAL 9010, black NCS S9000-N or orange RAL 4320S. Other colours on request. Black and orange have black tube and cable. White are in all white. Microprisma diffuser. 3 x spotlights on a 650 mm long beam. Other lenghts on request. System power: 3 x 10W. Luminaire Luminous Flux: 3 x 620LM. CCT 3000K. SDCM 3. CRI >80. Terminal block in ceiling cup. HFF = Dimmable DALI, SwitchDim.